We have proud gardeners in our midst at Twelve (see there’s more to us than digital fanatics) and we thought we’d give the South Newington Flower and Produce Show (hailed as the ‘loveliest traditional flower show in the area’) a bit of a shout out! Coming up this weekend, it’s sure to be a great event. So should you be casually swinging by the area, do stop by for some summer lovin’ country style. The annual South Newington Flower and Produce Show will take place at 2pm this Saturday 10 August on The Poleaxe at the centre of the village. This much loved annual event will be opened by Sir Tony Baldry, MP, and the Show marquee will present some 600 entries spanning flower displays, fruit and vegetables, preserves, cookery, photography and other crafts. Sir Tony will also present prizes. 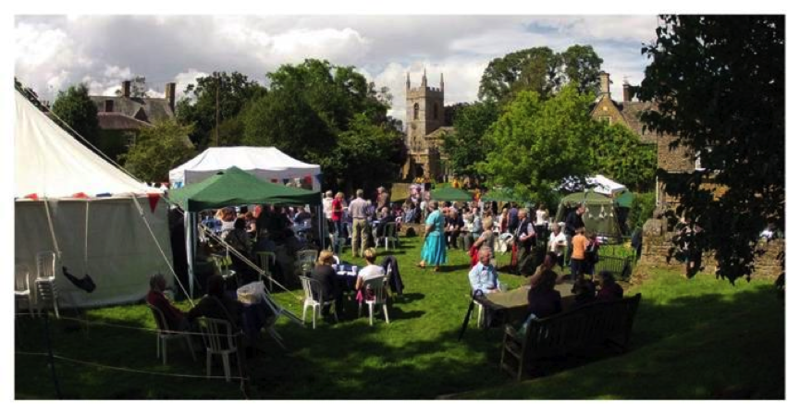 As well as the exhibits there will be a dog show, children’s games, stalls and sideshows; plus music from the ever popular Chipping Norton Silver Band and a traditional afternoon tea tent. A new addition this year will be a display of ‘village wedding dresses’ in the historic village church, St Peter ad Vincula. Field parking is available at the top of the village entering from the A361 onto Barford Road.